Students face an uncertain, changing, and rapidly shrinking world. To prepare for the challenges of tomorrow, they need global literacy. Portals bring diverse groups together to learn from each other and exchange stories. By coming face-to-face, young people from different backgrounds can develop familiarity and understanding, puncturing stereotypes and reaching beyond their own communities. Through Portals, teachers can engender among students an awareness of diverse cultures and value systems. Prioritizing student growth means inviting students to explore the topics that will be relevant to their lives: language; global politics; arts and culture. It also means emphasizing interactions that challenge the pupil. 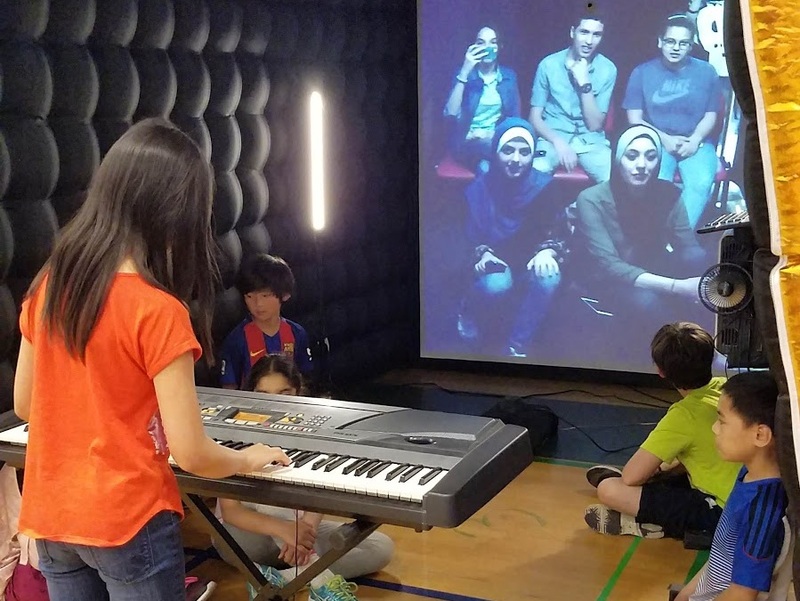 Portals allow educators to address these crucial "21st century skills”, like innovation, communication, collaboration, and creative problem solving, in an immersive audiovisual environment. The Portal marks a defined space in which students can explore new ideas, exchange perspectives, and develop a dynamic and well-rounded skill set. A video about Portals created by Greenwich Academy. Students, like their teachers, spend hours each day on their computers, switching their attention between assignments, social media, and instant messaging. At school, their focus is often directed toward the textbook or the whiteboard. The missing piece in education is also the foundation piece of human learning: interpersonal exchange. By designing a space in which students can look up from their textbooks and engage with young people around the world, we can return learning to its basics: the sharing of stories. Portal connections are two-way experiences. Students can both talk and listen; give and receive. And by encouraging young people to experiment in fluid, life-like settings, students are given a chance to engage in the type of encounters that leader to deeper understanding. We work with educational institutions to develop Portal-related curricula. Portals have hosted students of all ages, and educational materials can be tailored to suit your student body and mission.